Live performer sound signature. Refined vibrant bass, vivid mids, vivacious highs, wide 3D soundstage. 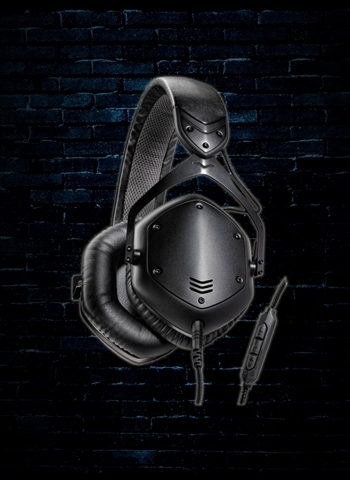 Two-Year Warranty - Immortal Life Program - 60-Day Test Drive Guarantee: Each Crossfade LP2 purchased from a Verified Reseller is backed by a 2-Year V-MODA Premier Warranty, more than double the industry average. In the unlikely event you run over your headphones with a tank, with the V-MODA Immortal Life Program, you get 50% off a replacement for a lifetime. V-MODA is so confident the Crossfade LP2 is a superior headphone, it even offers an unrivaled 60-day test drive guarantee. -Includes Gunmetal shield kit with extra screws & screwdriver, Exoskeleton case, Carbiner clip, Durable reinforced SpeakEasy 1-Button microphone cable, Durable reinforced extended audio cable, 1/4" adapter, Cleaning cloth, and Six-Star service.